Portland, Oregon is a city with a reputation for beautiful roses, rain, lots of bicycles, and great coffee. But, it’s so much more than just those things; it’s also a wonderful city for families with never-ending opportunities for fun and adventure. Here are some favorite activities and places that Trekaroo families love! 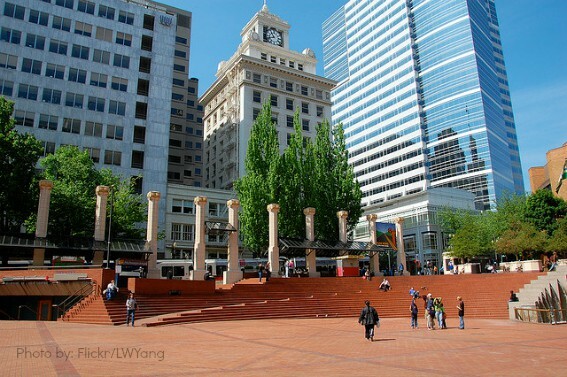 This space in the middle of downtown Portland is known as the city’s living room. There is almost always something going on here from concerts to farmer’s markets. It’s a great place to stop and sit and do some people-watching before continuing on to explore more of the city. The Travel Portland Visitors Center is conveniently located in Pioneer Courthouse Square, so stop by for maps and travel ideas! 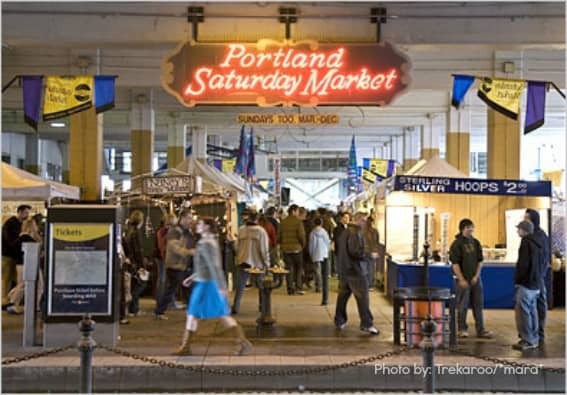 Visiting the Portland Saturday Market is a classic Portland experience. The market features music, food, and lots of stalls where to browse unique items for sale. Trekaroo families recommend visiting without a stroller, since it can get very crowded and aisles may be narrow. 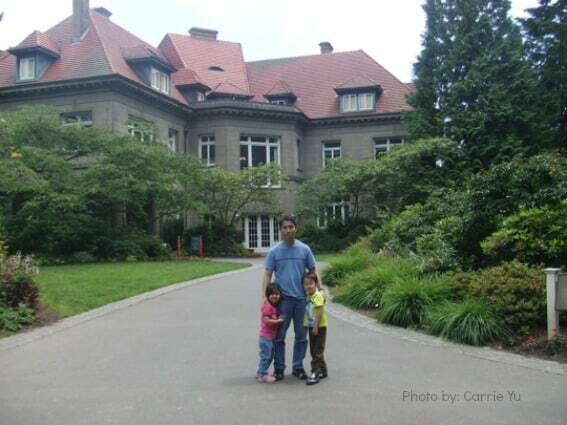 Stepping through the doors of Pittock Mansion is like going back in time to 1914. Inside the mansion, visit the beautifully decorated rooms and learn how one of the most influential families in Oregon’s history lived. 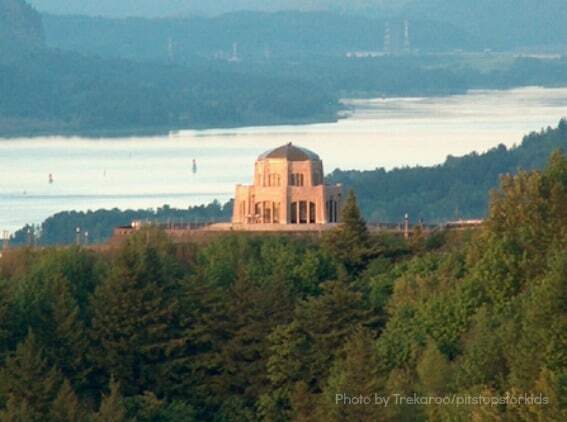 Outside, enjoy great views of Portland in the valley below or take a hike on one of the many trails that pass by Pittock Mansion. 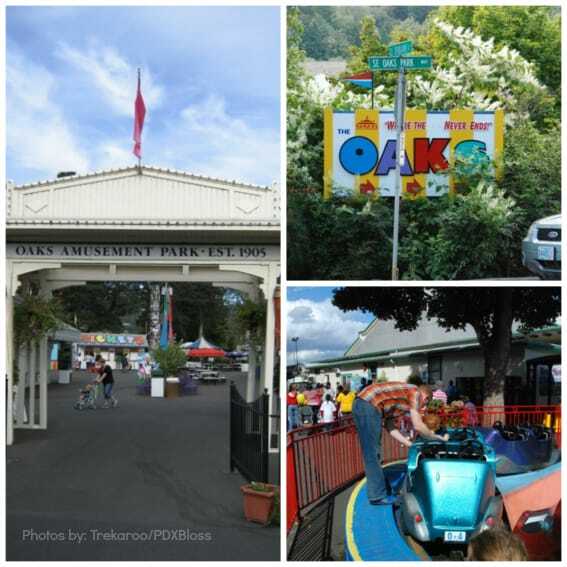 Oaks Amusement Park is an old-fashioned amusement park that has been entertaining Portland families for generations. 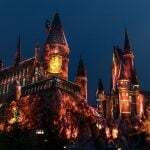 In fact, it is the United States’ oldest, continuously operating, amusement park! It features rides (including some suitable for younger kids), go karts, miniature golf, amusement park games, and a roller rink with an old-fashioned wooden floor! 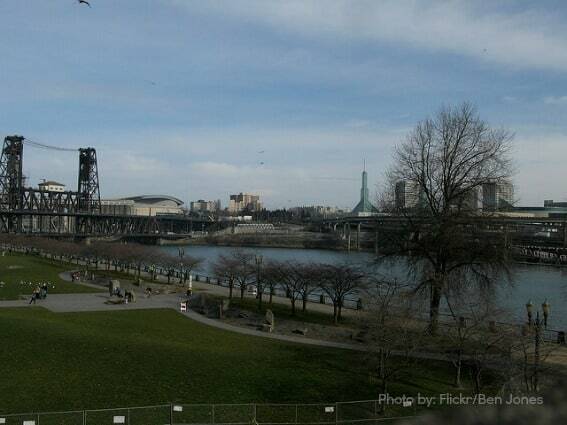 Portland loves its outdoor spaces, and Tom McCall Waterfront Park is a great one. 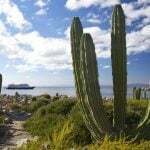 This park features huge grassy areas and a long, paved walking trail, right on the waterfront. Come and sit on a bench and people watch, or lace up those running shoes and go for a jog. Take a walk and check out all the bridges spanning the river, or rent a family-sized pedicab and go for a ride! 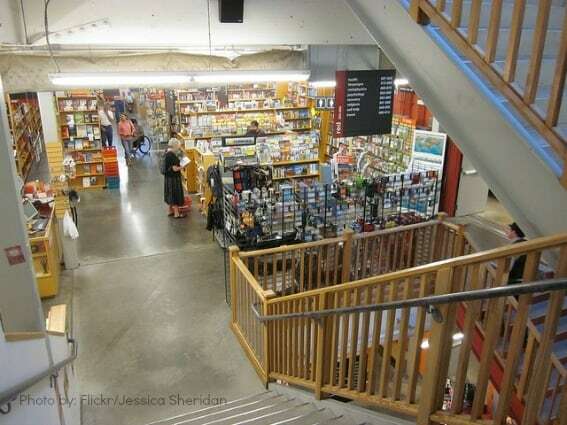 Powell’s City of Books is a classic Portland institution. Be prepared to stand and stare in awe when you first enter the store. It is enormous (the size of a full city block!) and it is filled from top to bottom with books on every imaginable topic. Grab a map on the way in and start exploring the shelves to find a new favorite book! Just a short drive from downtown Portland you will find the entrance to the Columbia River Gorge. Come here to visit the parks, the beautiful Columbia River, thundering Multnomah Falls, and views of the Gorge from Vista House at Crown Point. Be sure to also check out Bonneville Dam with its fish ladder and fish hatchery! Washington Park is located on a hill just outside of downtown Portland and is home to two gorgeous gardens. 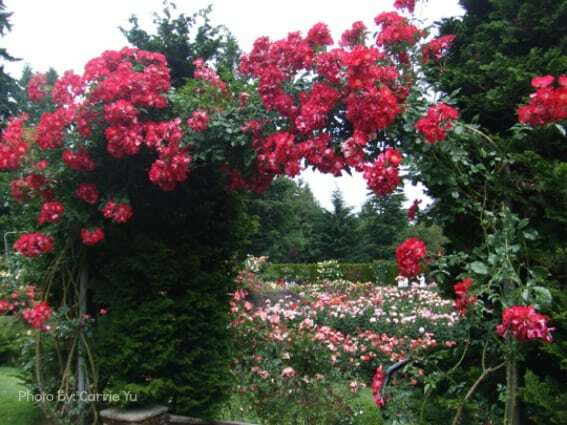 The International Rose Test Garden is made up of rows and rows of all different types of roses and shows why Portland is known as “The City of Roses.” Wander the paths, take in the beautiful aromas, and enjoy great views. Best of all, this garden is free! Nearby is the award-winning Japanese Tea Garden. This 5.5 acre garden is a peaceful and beautiful place to come and admire the scenery and authentic Japanese garden structure. It also offers spectacular views of the city of Portland stretched out in the valley below. Planning on visiting these gardens with little ones? Don’t miss the Washington Park Children’s Park located just a short distance away. Washington Park is also home to the Oregon Zoo, the Portland Children’s Museum and the World Forestry Center. 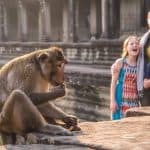 These three fun and family-friendly destinations are all conveniently located next to one another and even share a parking lot. So park the car and have a great day of fun with these three fun activities! 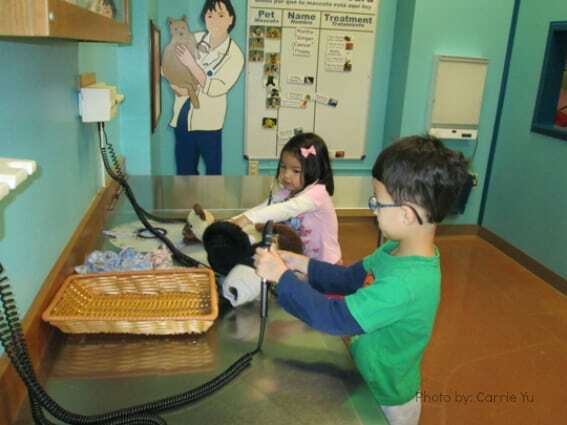 The Portland Children’s Museum has many fun rooms to explore and activities for kids of all ages. Located next door, the World Forestry Center is a wonderful way for families to learn all about trees and their place in our world. The Oregon Zoo is a favorite of Trekaroo families and has lots of animals to meet. Don’t miss the chance to ride the zoo train! If there’s only time to visit one place, OMSI is the place to choose. 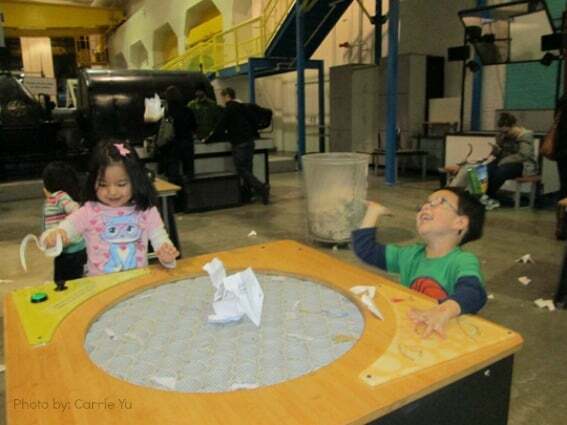 It’s a truly remarkable museum with tons of fun and hands-on activities for the entire family. The museum is huge, with five unique halls. Around every corner is another way to play and learn at the same time. Where else can a toddler play in a huge kids’ area while others in the family tour an attack submarine parked right outside? There’s also a movie theater and planetarium for even more fun. 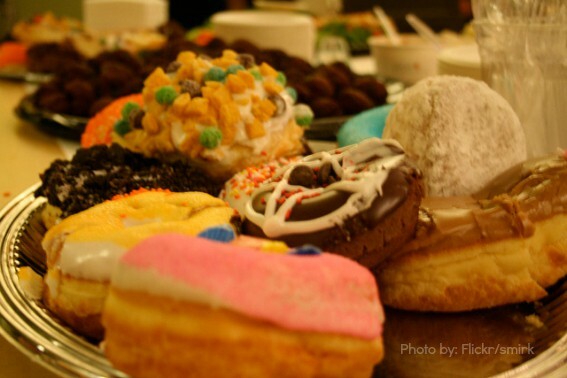 Voodoo Donuts: Voodoo Donuts is a very popular and well-known destination for unusual and delicious donuts! There may be a wait, but Trekaroo families say the donuts are worth the wait. Food trucks: Portland is well-known for its food truck “pods” which feature large groups of food trucks offering all different types of food. Everyone in the family will surely find something that sounds yummy! Prices are reasonable too. Seating is rarely available on-site, so get the food and find a nearby park to enjoy the yumminess. Pods are located in various locations in downtown Portland- just ask someone to point the way to their favorite pod! Laurelwood Brewery: There are two locations of this fantastic, family-friendly restaurant in Portland. It features great beer and food for the grown-ups and play areas for the kids! It’s a perfect family date night spot! Mother’s Bistro: This restaurant offers made-from-scratch food using favorite recipes of mothers from around the world! Families rave about their meals and love the play area in the restaurant as well! 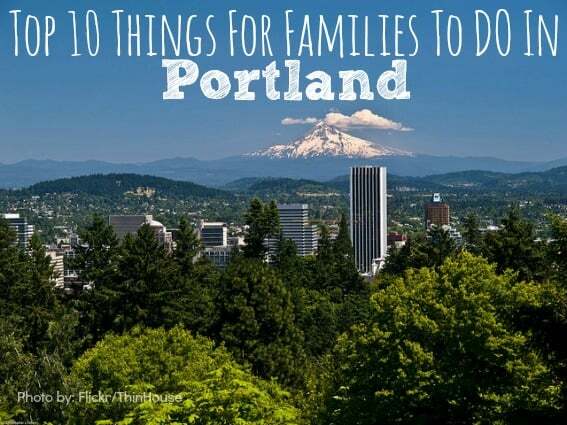 Try out some more of Portland’s great family-friendly restaurants! Hotel Monaco: Families rave about how family-friendly this hotel is. Everything from pet goldfish (for the duration of your stay), to large and comfortable rooms, a complimentary wine and snack happy hour in the lobby, and an upscale and colorful décor make this a great choice for families who are traveling to Portland. Residence Inn by Marriott Downtown/River Place: This hotel is a favorite of families. It features full kitchens, a clean indoor pool, laundry facilities, and a great (and free) breakfast! The Governor Hotel: If your family loves historic hotels, then check out the Governor. Kids 12 and under stay free with adults in this beautiful old hotel. There’s no beating the location of this hotel; it’s just steps from everything downtown has to offer, as well as the MAX line for going further afield. Check out all of the great hotels that Portland has to offer! Evergreen Waves and Wings Waterpark and Aerospace Museum: McMinnville, Oregon is a short drive from Portland, and is home to the great Evergreen Waves and Wings Waterpark and Aerospace Museum. Aviation fans will love walking around this museum and checking out tons of planes from various countries and points in time. 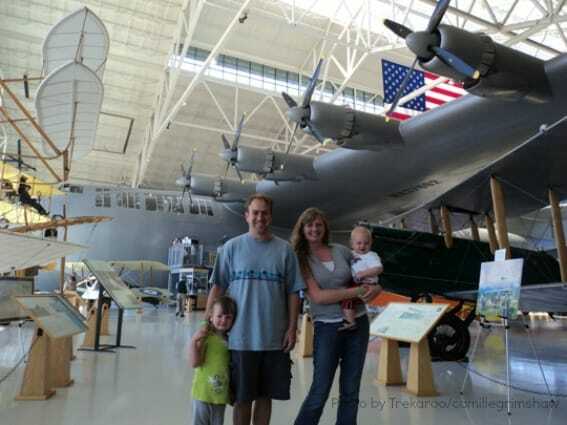 And, of course, this museum is home to the famous (and gigantic) Spruce Goose Museum! 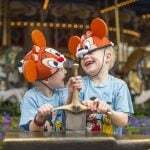 Kids will enjoy the interactive kids’ area, which features games and hands-on fun. There is a snack bar as well. Another large building features exhibits on space and astronauts, and a third building is home to an enormous indoor waterpark with lots of slides and fun! Astoria: Astoria is home to both a number of state parks, lighthouses, shipwrecks, lots of wildlife, and the Lewis and Clark Interpretive Center. It’s also home to the Oregon Film Museum and the Goonies House! Spend the weekend in Astoria and enjoy both the great outdoors and movie history. Mt. Hood: Mt. Hood is a familiar site to people in Portland, as it towers magnificently behind the city. 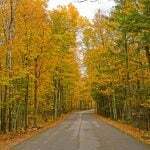 It’s a great destination in its own right. Go to the Mt. Hood Skibowl in the winter for great skiing, snowboarding, snowshoeing, and other snow fun. Visit in the summer for wonderful hiking, biking, alpine sliding, and much more!